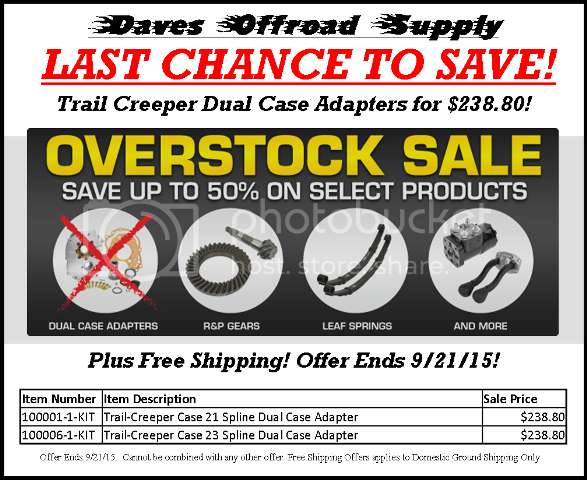 Last Chance to Save on Trail Gear! Plus Free Shipping on Orders of $100 or More Only at Daves Offroad Supply! Free Shipping on Trail Gear Items! Starts Today but can End at Any Time so Take Advantage While you Can! New Product from Trail Gear!!! 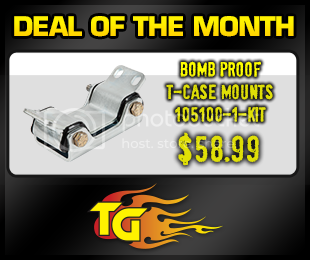 The universal tire carrier kit comes with everything you need to bolt or weld on a spare tire carrier to your vehicle. 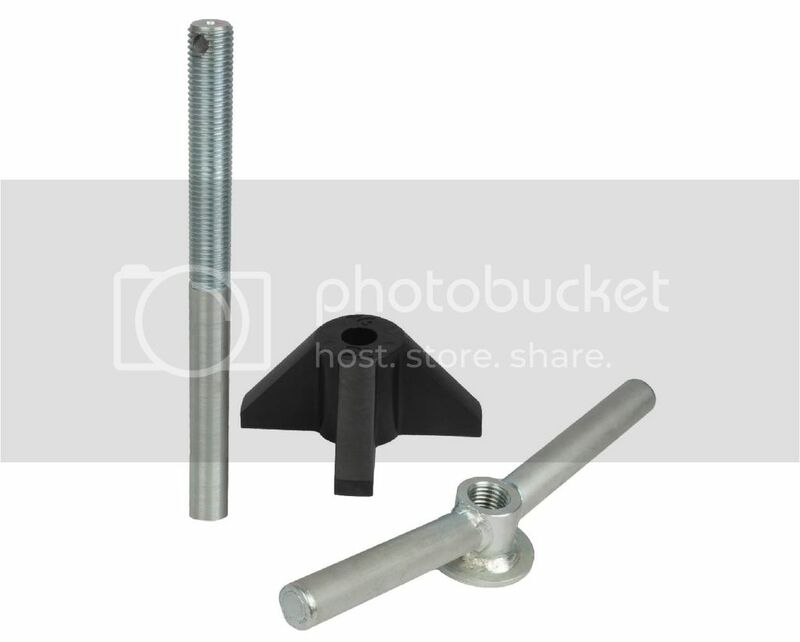 Included in the kit is a mounting rod that is one inch in diameter, oversize mounting nut for ease of use, and our Polyurethane Tire Mount. Bolt on kit comes with backing plate and all necessary hardware. The mounting rod is also drilled for a lock to keep your spare safe from theft. 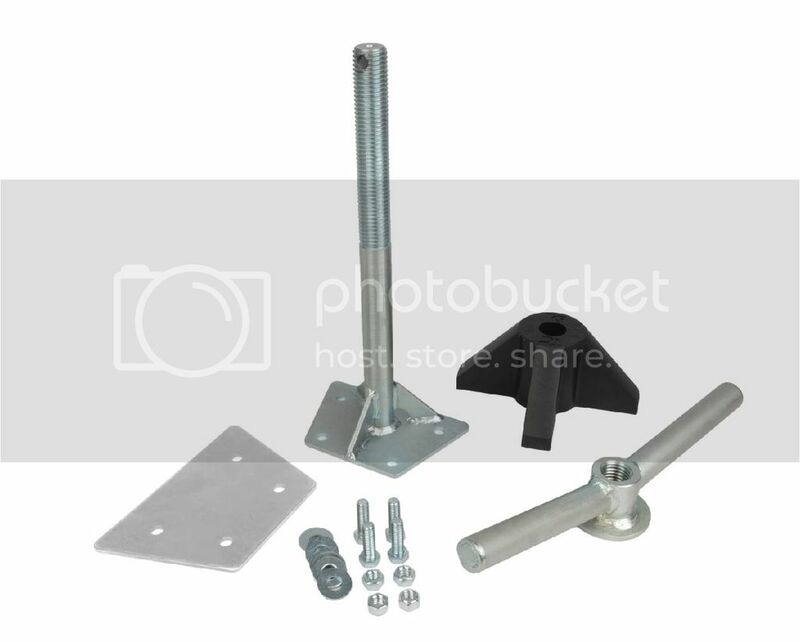 All components except for the polyurethane mount are zinc plated steel for a long corrosion free service life. Kit is designed to work with most backspacing and wheels with a 2.75” to 6.25” center bore. Click on the pictures to view it on our website.